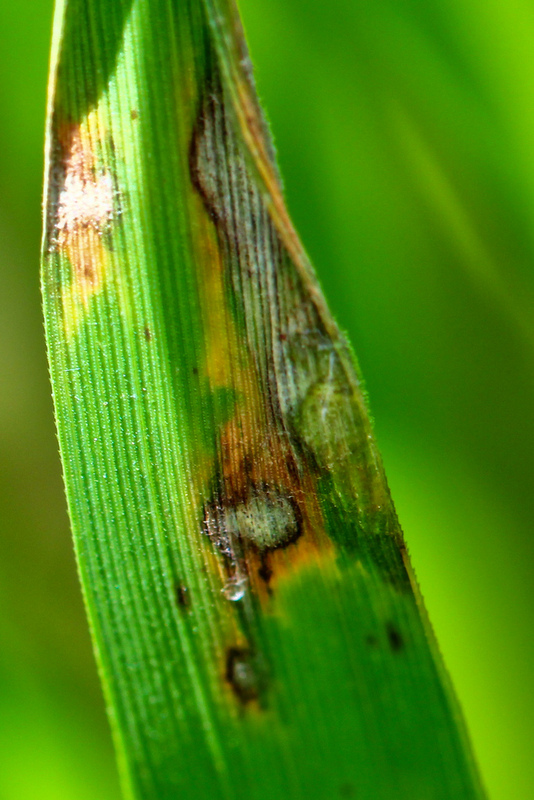 Out of the Lab and into the Ethics…..
Nelly Brewer, a PhD student at Rothamstead Research who studies wheat pathogens, writes about her experiences attending a Society of Biology ‘Policy Lates’ event on dual-use issues for the first time. Her comments include reflections upon the normality of biosafety protocols within her own work, her desire to better understand dual-use issues as well as the bureaucratic pressures on modern scientists. Each morning, before entering the building where I do much of my research, I step into a shower-like cubicle and am blasted with cold air from all angles. I then sign in, recording the pressure within the building, wash hands, don a lab coat and blue overshoes. I repeat the process backwards on the way out, removing my overshoes before stepping over the threshold and back into the air shower. To me this is logical – I work with fungal plant pathogens which infect some of our most important crops, so it’s important that I and my colleagues keep the microbes we work with contained, and at the same time prevent other pathogens and insects from contaminating our experiments. What’s been occurring to me recently though, is that our research, the way we conduct it and the measures we take to limit any risks, form part of a wider discussion on biosecurity and dual-use issues in scientific research. When invited to share my views on dual-use and related issues, something that sprang to mind was that it’s hard to work out what your views are on a subject about which you know relatively little. As an early career scientist working within an infrastructure put in place for me by my superiors, I actually lack full appreciation of how dual-use policy impacts on the research I’m permitted to do, and how I’m permitted to do it. Some light was shed on the matter recently when I attended a Society of Biology ‘Policy Lates’ event on the subject, hosted by the Society of Biology. Invited speakers and floor contributors included active scientists, policy makers, citizen science project managers and even FBI agents, bouncing around their thoughts on how to guard against misuse of research material and findings, without impeding useful, sometimes essential, research. While the main examples were drawn from the recent debate around research and release of data on respiratory-transmissible H5N1 (bird ‘flu), crop pathogens did get a mention, which brought home the relevance of the debate to my own research career. Indeed, targeting your enemy’s food source is not an unheard-of war tactic, so the misuse of pathogens which infect staple food crops is not an unreasonable concern. Gruinard Island was the site of offensive and defensive research into anthrax (which affects cattle as well as humans) during the 1940’s by the UK government. 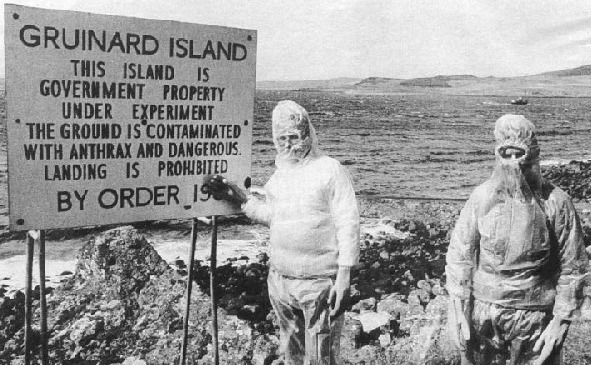 The island remained contaminated until a clean-up operation in the 1980’s. Offensive research into plant, animal and human pathogens is now illegal under international law. While the debate was thought-provoking and enjoyable, it was also frustratingly superficial. An evening is hardly long enough to even begin to scratch the surface of the issues surrounding dual use policy. Much was made of the importance of allowing bona-fide researchers to do their work unhindered, by both policy makers and scientists. However there were also worrisome examples of perhaps overzealous safeguards, some which prevent researchers obtaining research material such as live pathogens or viral DNA sequences, others which allow only ‘established researchers’ to carry out research with a dual-use aspect. The latter is particularly concerning since it felt at odds with the need for ‘fresh blood’, less established researchers with novel viewpoints, who have undoubtedly driven scientific discovery throughout the millennia. And I wondered, even for established group leaders, how much time was spent on license applications, renewals and justifications for research, which might otherwise have been spent at the lab bench, or even down the pub, inspiring their less established charges. Much as the Policy Lates debate only scratched the surface, I feel that I, too, am only just beginning to grasp the concept of my research as a dual use risk, and the impact that associated policies will have on me. I suspect, should I continue down my current research track in crop pathology, I might have something more to say. This entry was posted in Bioethics, Education, Governance. Bookmark the permalink. Should scientists try to prevent the misuse of their work? What type of misuse is it possible to foresee and prevent?